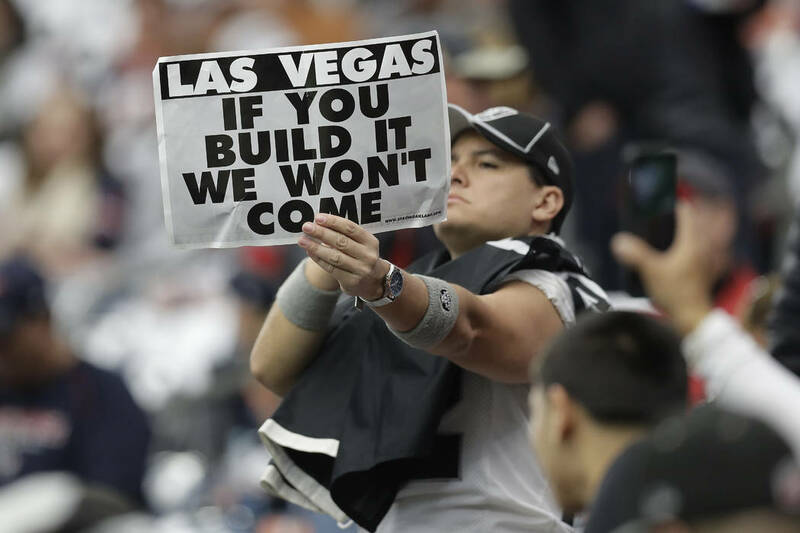 NFL owners begin gathering Sunday at a plush resort outside Phoenix, where atop the agenda for the annual spring meetings of 32 teams is the Raiders’ application to move to Las Vegas. OAKLAND, Calif. — If a second eulogy is to be delivered, you are likely to find countless mourners in one corner of a strip mall on Hesperian Boulevard, in the town of San Leandro. 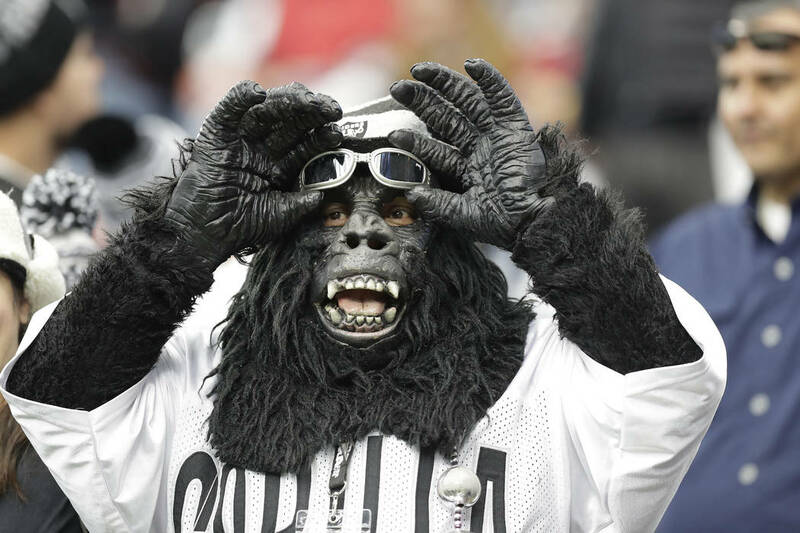 Ricky’s Sports Theatre & Grill is not 15 minutes in crawling Bay Area traffic from the Oakland Coliseum, the landfill from which Raiders owner Mark Davis intends to move his team. The chairs at Ricky’s are silver. The tablecloths are black. And the patrons desire no words of endearment or respect for the contemptibly departed. If the death of a beloved is indeed an amputation, someone better make sure Davis isn’t within 100 miles of the saw. Davis needs 24 owners to cast ballots for approval. The vote is expected Monday. 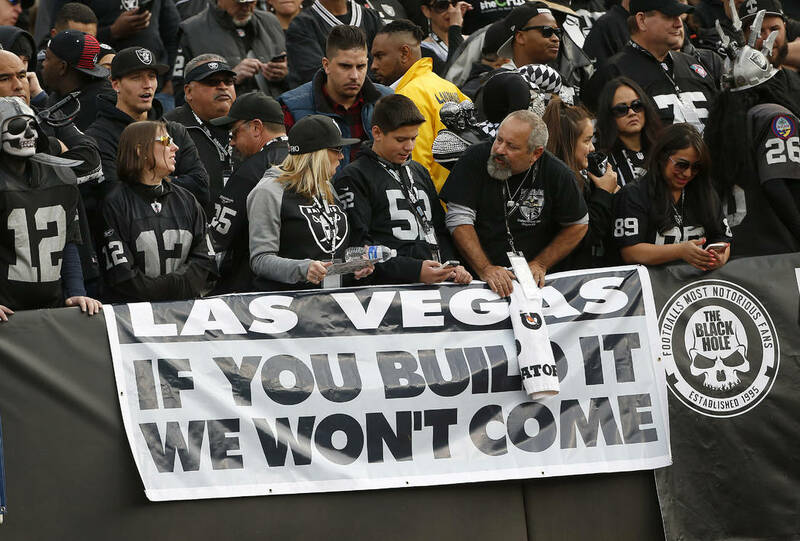 Should things fall in his favor and Davis eventually move the team to a 65,000-seat, state-of-the-art domed stadium in Southern Nevada, it will be the second time the Raiders have left Oakland for the only sort of greener pastures owners understand: those of promised dollar signs. The Raiders also relocated to Los Angeles in 1982 before returning to Oakland in 1995, when unquestionably one of the league’s most loyal and passionate fan bases pledged to forgive with the assumption it would never again endure the unfathomable pain of abandonment. It’s doubtful the wounds would completely heal this time, because there doesn’t seem to exist a big enough tourniquet. 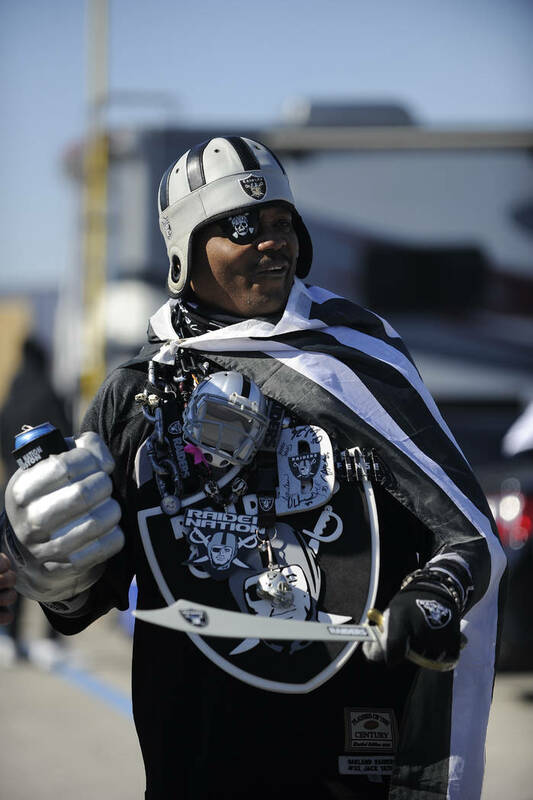 “It took awhile to adjust when they came back from Los Angeles, but I was born and raised in Oakland and have been a season-ticket holder for … let me think … forever,” said Cartier Allison, 59. “That’s my team. I don’t know anything else. I just don’t understand how they can do this again to their family, which is what we are — or supposed to be. This makes no sense. He wore a Raiders jersey while sitting at a table in Ricky’s one afternoon this past week, every inch of every wall recognizing the commitment to excellence Davis’ late father, Al, championed for the franchise. 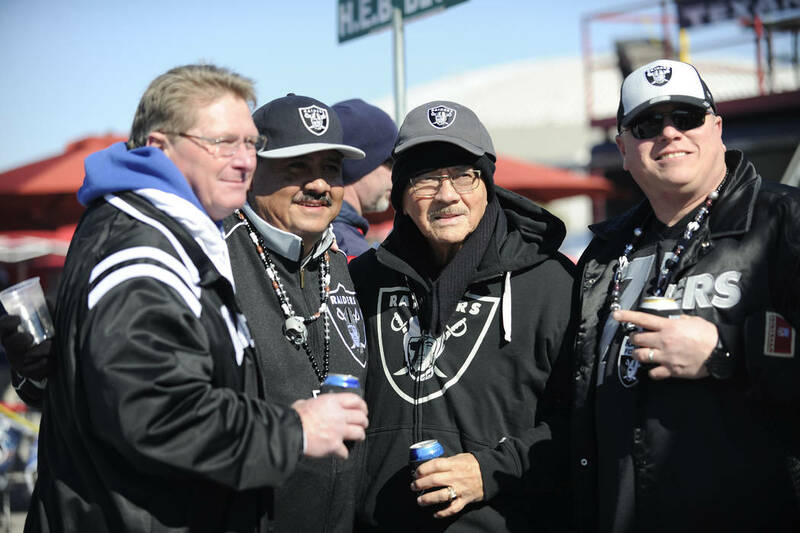 This is the pre-eminent gathering place of all Raiders past and present, where Al and Mark Davis and the team’s gridiron greats came at one time or another to celebrate among the most devoted of souls. Many came all the time, for decade after decade. 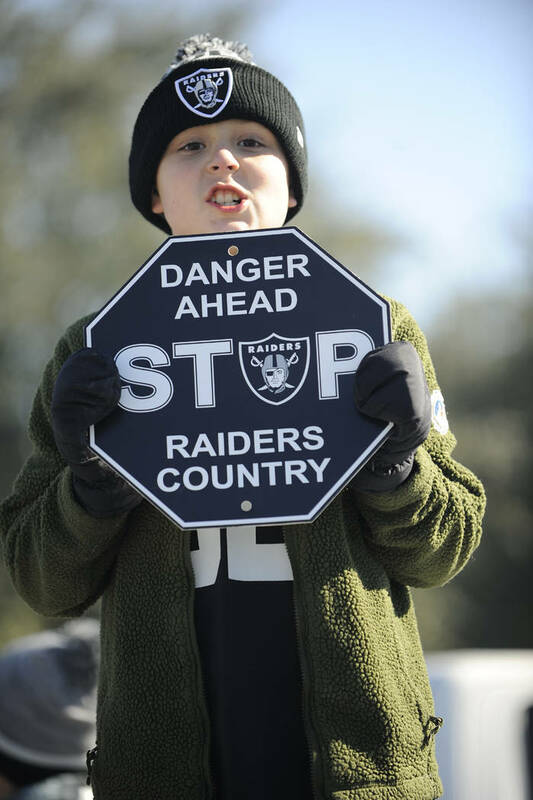 But the current temperament in regard to the Raiders up and down Interstate 880, which connects San Jose to Oakland and runs parallel to the northeastern shore of San Francisco Bay, is mostly that of anger and resentment and bitterness and sorrow. Put it this way: There isn’t a lot of acceptance sifting through the East Bay. If you search hard and long enough, you will find dots of hope in Alameda County and the surrounding areas that the fight isn’t over, that before the clock strikes midnight and the Raiders prepare to pack up every last T-shirt with a pirate on it, owners will either vote Davis down in Arizona or delay a decision, perhaps until they meet again in Chicago in May. 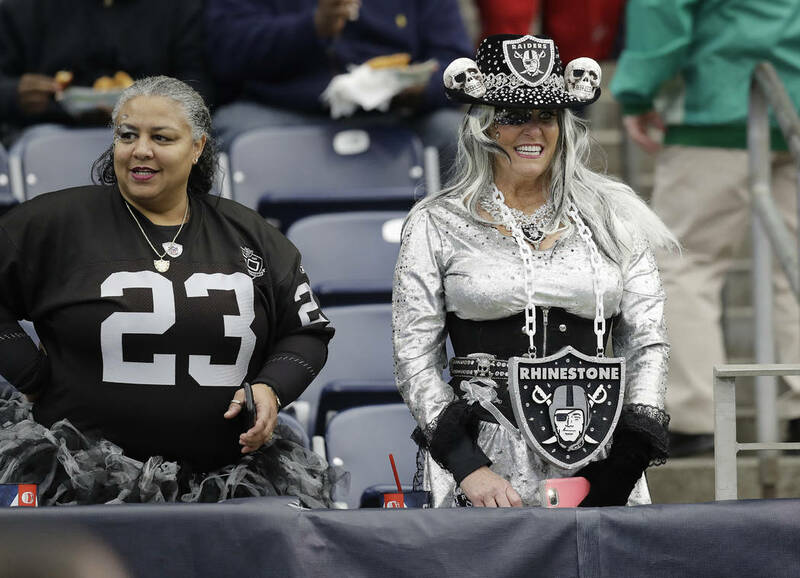 It seems a long shot the level of Cleveland winning a Super Bowl next season, but some in these parts are holding out hope that the $1.3 billion stadium project being pushed by former Raiders star Ronnie Lott and backed by the Fortress Investment Group of New York to keep the team in Oakland somehow will be better received than it has been by the league. “I believe the city and the county is putting its best foot forward in terms of presenting a competitive and viable stadium plan for the NFL owners to consider,” Alameda County Supervisor Nate Miley said. “We have a strong financing partner in the Lott Fortress Investment Group, and we’ll lay out an economic case for keeping the Raiders in Oakland while protecting taxpayers with the transparency and accountability they deserve. 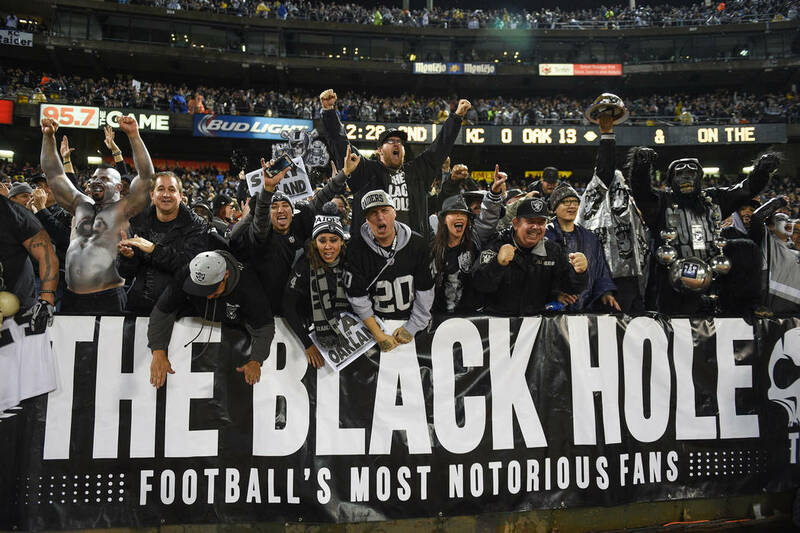 It doesn’t appear a majority of fans, at least right now when emotions are raw, support Miley’s belief that the Raiders should stick around if relocation passes, even though the team has built a roster capable of challenging for the Super Bowl in coming years and the fact Davis has a lease to play the next two seasons in the Coliseum. 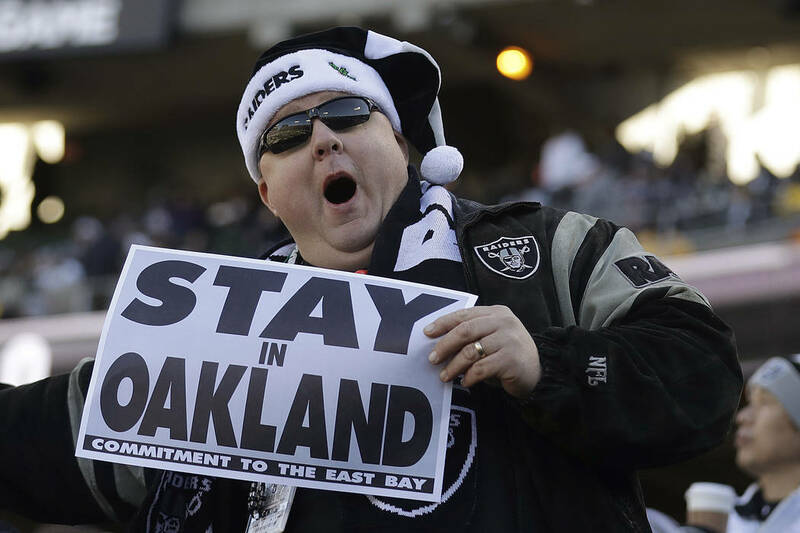 They will assuredly do so in 2017, but more screams than whispers in Oakland the past several weeks suggest either a public or political movement (perhaps both) might rise to push the Raiders out sooner than later. There have been talks of lawsuits to try to block the relocation or, at the least, taking steps to break the lease with Davis based on a lack of good faith. 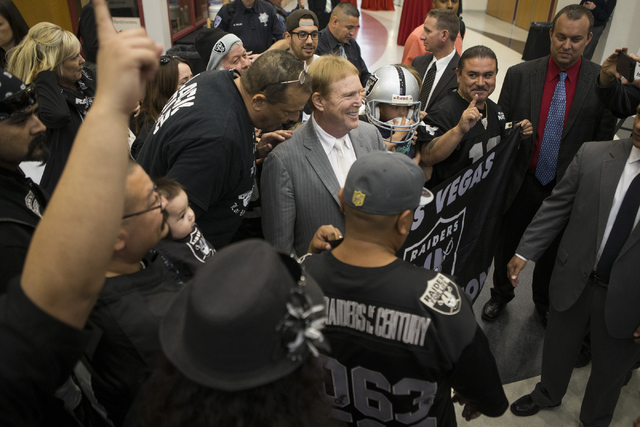 It all suggests that if the Raiders win the vote, Davis might have to consider a faster move into UNLV’s Sam Boyd Stadium, as a temporary home, while his palace is built, likely at Russell Road and Interstate 15. “The name and logo and colors should stay right here,” Allison said as he awaited his meal. 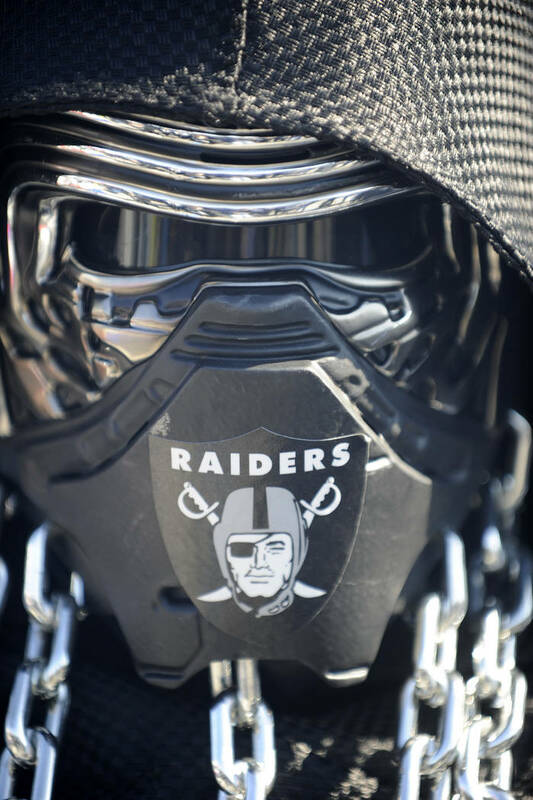 “We are the Raiders, the silver and black. Go call them the Vegas Whatevers. I’m so angry. And you know what? They’re trying to raise the price on my season tickets for next season. After all this? That’s a lot of nerve. Life is tough on the East Bay sports fan right now. Davis has had one foot out the door for years. The Warriors, NBA giants and champions just two years ago, will move from Oracle Arena (adjacent to the Coliseum) to a new $1 billion facility in San Francisco for the 2019-20 season. The A’s, like the Raiders, want to vacate the Coliseum and are hopeful financing soon can be finalized for a new ballpark in Oakland. 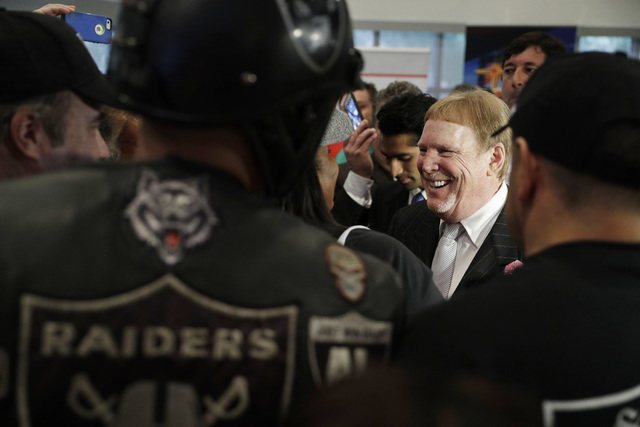 “First of all, you have to understand the very strong sense of disbelief that this is happening again with the Raiders,” said Jim Zelinski of the grassroots organization Save Oakland Sports. 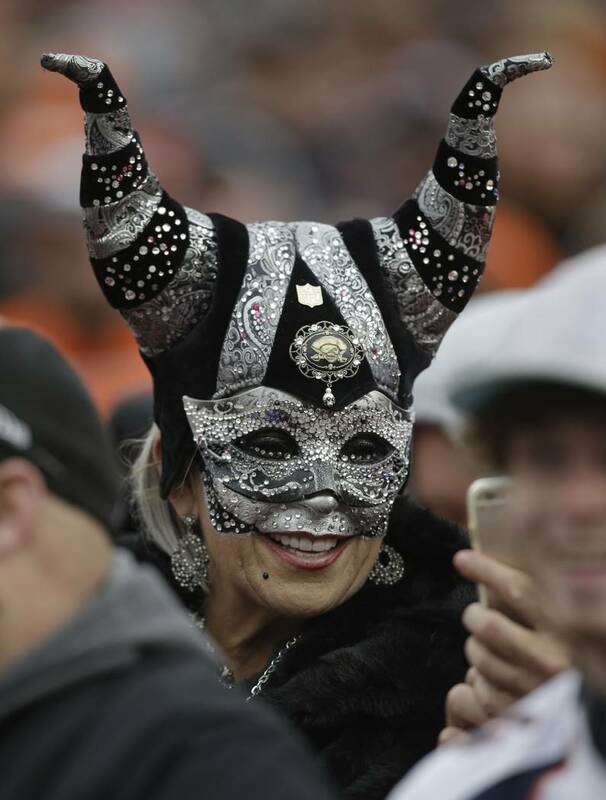 “This community in the East Bay built the Coliseum for the Raiders, renovated the Coliseum for the Raiders and continued to show up and sell out games despite 13 straight nonwinning seasons (2003 to 2015). There was a rally announced for the Bart Ramp on Saturday, when those scheduled to speak included Lott and Oakland Mayor Libby Schaaf and representatives from Fortress. 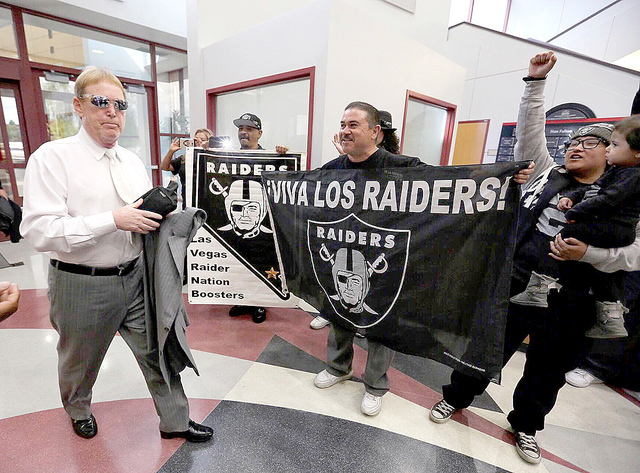 Some in Oakland also have produced documents that call into question the funding of the Las Vegas stadium plan and, specifically, the level of debt Davis could find himself in for years. Also, the city of Oakland and its partners on Friday submitted a revised financing plan for its stadium project. In other words, it’s desperation time, and the folks here are still swinging mightily. 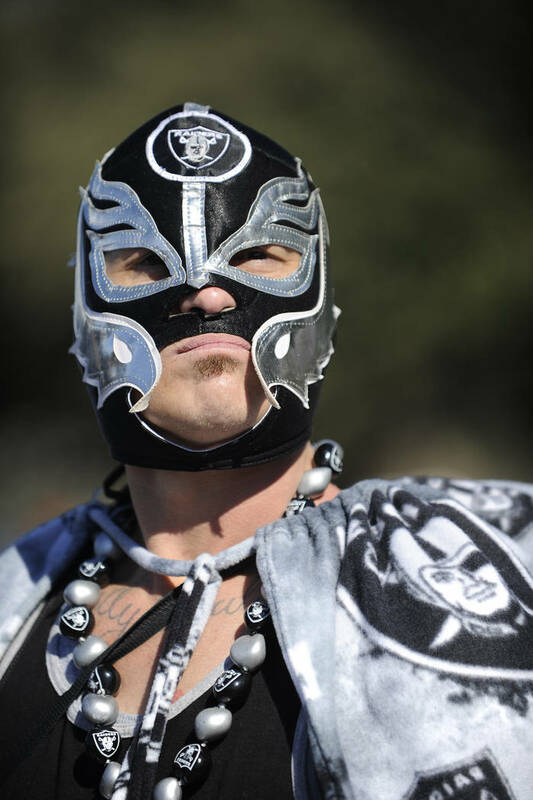 But in one corner of a strip mall on Hesperian Boulevard, where the jerseys of Blanda and Stabler and Plunkett and Atkinson and Villapiano and so many other greats hang, where posters decry Tom Brady for a certain “Tuck Rule” game, where glass cases are filled with photos and memorabilia, where even the refrigerators are plastered with Raiders logos, Ricky might be the one person not yet prepared to look for the closest bridge come Monday. No, really. That’s his name. “I think my parents loved the show (‘I Love Lucy’), but I also hope they loved me,” he said. “My father started the business in 1943, and we moved to this location in the 1960s. Always been a Raiders bar and restaurant. We marked our ground very early on. We used to bus people to games with tickets so they could drink and not drive and not get arrested. “I’m not a bitter guy. What’s the point? 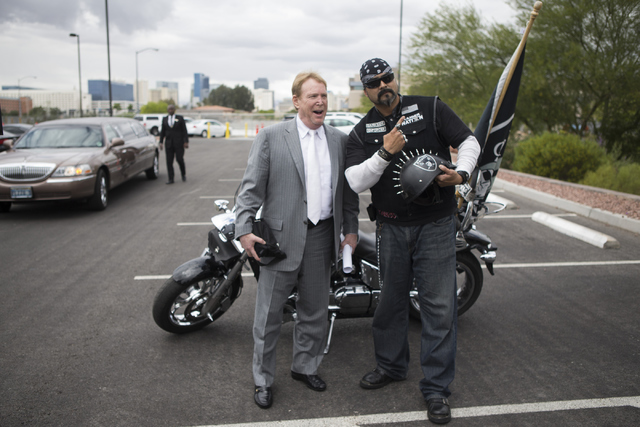 Mark Davis is a businessman. It’s his team. I understand that part of it. People here will still come and watch. They came after the move to Los Angeles. 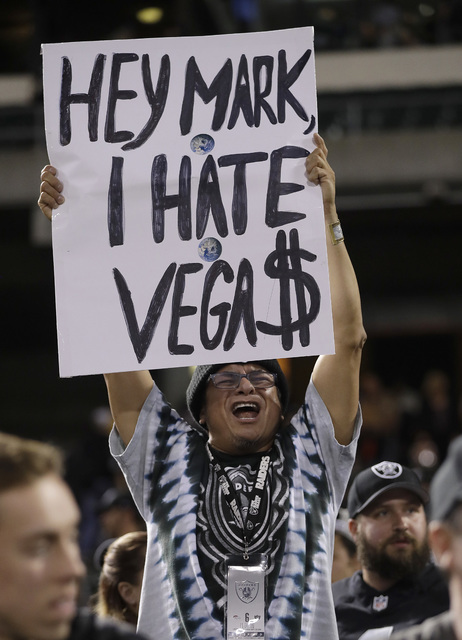 I’m not sure how many are spending money to go to Las Vegas for games, but they will always be fans. That team has meant too much to them for too long. By the looks of all the anti-Brady posters on the wall, definitely not the Patriots. Contact columnist Ed Graney at egraney@reviewjournal.com or 702-383-4618. He can be heard on “Seat and Ed” on Fox Sports 1340 from 2 to 4 p.m. Monday through Friday. Follow @edgraney on Twitter.